About 18 years ago I was living on a narrow boat and I started growing lettuce and tomatoes on the roof....eventually I realised I wanted to have my own land and run a farm business from there....I didn't have any land or much money...but at least I had a plan...It's certainly been a long and sometimes difficult road....but I'm happy with how Hinton Harvest is going. It's that special occasion with family and friends, what are you serving for dinner? There's not a lot of time for entertaining when you have a farm so the last time I cooked on a special occasion would have been one of our own free range bronze turkeys at Christmas, with bread sauce and all that other tasty stuff. 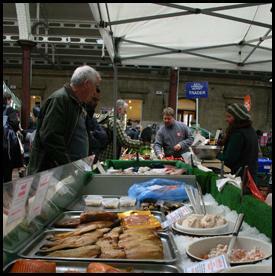 What's your favourite thing to eat from the market? Well we are very spoilt for choice but the things I buy the most at Bath Market are sourdough from the Oven, honey from Wainwrights, and hummus from Moist! Southside Farm - All things cake! Our traders changes on a weekly basis. 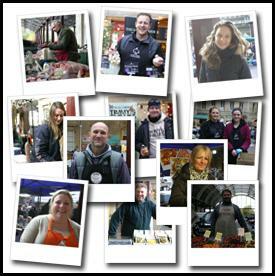 Check in here to see the fantastic and diverse range of food producers. Featuring recipes from the best local producers in Bath, using the best in local produce. 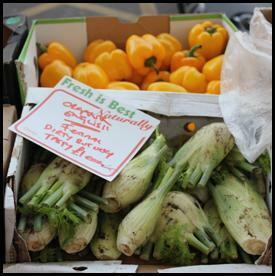 If you are interested in joining the farmers market click here and fill out the simple form.